Fluorite crystals (blue) with Pyrite (gold-coloured), photographed at the Natural history museum in Milan, Italy. English : Fluorite crystals (blue) with Pyrite (gold-coloured), photographed at the Natural history museum in Milan, Italy. Eruption at Fimmvörðuháls at dusk. English : Eruption at Fimmvörðuháls at dusk. The interior of the caponier at Fort de Bois l'Abbé in Uxegney, Lorraine, France. English : The interior of the caponier at Fort de Bois l'Abbé in Uxegney, Lorraine, France. Various examples of sea anemones. English : Various examples of sea anemones. Avocado (Persea americana) with its cross section. Pictured in Dar es Salaam, Tanzania. English : Avocado (Persea americana) with its cross section. Pictured in Dar es Salaam, Tanzania. Chrysomya albiceps in Dar es Salaam, Tanzania. English : Chrysomya albiceps in Dar es Salaam, Tanzania. A young Fly Agaric (Amanita muscaria) breaks through the underbrush near Biggesee, Sauerland, Germany. English : A young Fly Agaric (Amanita muscaria) breaks through the underbrush near Biggesee, Sauerland, Germany. Józef Piłsudski was a Polish statesman largely responsible for Poland regaining independence in 1918, after a hundred twenty-three years of partitions. He then held a variety of positions which, under different names, made him the leader of the Second Republic. November 11 is Independence Day in Poland. English : Józef Piłsudski was a Polish statesman largely responsible for Poland regaining independence in 1918, after a hundred twenty-three years of partitions. He then held a variety of positions which, under different names, made him the leader of the Second Republic. November 11 is Independence Day in Poland. Zinc, purity 99.995 %, left: a crystaline fragment of an ingot, right: sublimed-dendritic, and a 1 cm³ zinc cube for comparison. 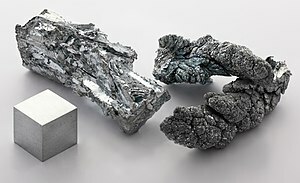 English : Zinc, purity 99.995 %, left: a crystaline fragment of an ingot, right: sublimed-dendritic, and a 1 cm³ zinc cube for comparison. Jari-Matti Latvala, winner of the Neste Oil Rally Finland 2010, driving his Ford Focus RS WRC 09 in Muurame shakedown. English : Jari-Matti Latvala, winner of the Neste Oil Rally Finland 2010, driving his Ford Focus RS WRC 09 in Muurame shakedown. Picture of Nymphaea alba taken in Duisburg in August 2010. English : Picture of Nymphaea alba taken in Duisburg in August 2010. Map of Antarctica. Scale [ca. 1:40,000,000]. Col., 34 × 41 cm. English : Map of Antarctica. Scale [ca. 1:40,000,000]. Col., 34 × 41 cm. Walking on beach in Porto Covo, Portugal. English : Walking on beach in Porto Covo, Portugal. Underside of a Diadem Spider (Araneus diadematus) in its web at a retention basin in Ahlen, Germany. English : Underside of a Diadem Spider (Araneus diadematus) in its web at a retention basin in Ahlen, Germany. Panorama of Malbork Castle in Poland. English : Panorama of Malbork Castle in Poland. An Eastern Water Dragon (Physignathus lesueurii lesueurii), the nominate race of the Australian Water Dragon (Physignathus lesueurii), on the Clontarf Track, near the Grotto Point Reserve, in Sydney, New South Wales, Australia. English : An Eastern Water Dragon (Physignathus lesueurii lesueurii), the nominate race of the Australian Water Dragon (Physignathus lesueurii), on the Clontarf Track, near the Grotto Point Reserve, in Sydney, New South Wales, Australia. The Antennae Galaxies in collision. Hubble Telescope imagery. English : The Antennae Galaxies in collision. Hubble Telescope imagery. Farmer walking with oxen in Tamil Nadu, India in the year 1993. English : Farmer walking with oxen in Tamil Nadu, India in the year 1993. An entire colony of Boulder Brain Coral (Colpophyllia natans). 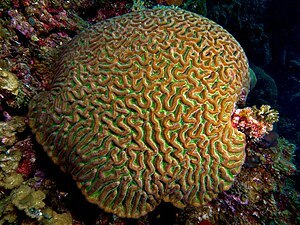 English : An entire colony of Boulder Brain Coral (Colpophyllia natans). Osmium crystals, purity ≥ 99.99 %, 20 g. Produced by chemical transport reaction in chlorine gas. English : Osmium crystals, purity ≥ 99.99 %, 20 g. Produced by chemical transport reaction in chlorine gas.